We are glad to welcome you all at our website! Our universal surveillance receiver not only picks up the transmissions of listening devices and wireless audio transmitters but also this combo receiver has a built-in digital audio recorder which can record all reception of listening devices to popular microSD-card. In addition the receiver has an availability to control some kinds of audio mini transmitters by built-in remote controller. The surveillance receiver with built-in recorder remembers user presets in 100 nonvolatile memory channels, so the frequency settings will not be lost when the battery become exhausted. This receiver with recorder is compatible for operation with our mini transmitters of the Series STR-100, STR-200, STR-300, STRC-100, STRC-200, STRC-300, STRC-405, STRC-600 (partially), STRC-700 and also compatible for operation with another NFM and WFM mini transmitters which are working in the same frequency range as STV-05. New STRC-405 is a digital mini transmitter with a remote control. It is intended for an encoded transmission of the voice data. The bugging device has built-in rechargeable Li-polymer battery which provides good functionality. The mini transmitter is designed to operate with STV-05 Digital Receiver. New STRC-700 is a long range distance analog mini transmitter with the possibility to program the operating frequency of the mini transmitter with using STV-05 . The STRC-700 can be controled remotely by STV-05 . The bugging device has built-in rechargeable Li-polymer battery which provides good functionality. 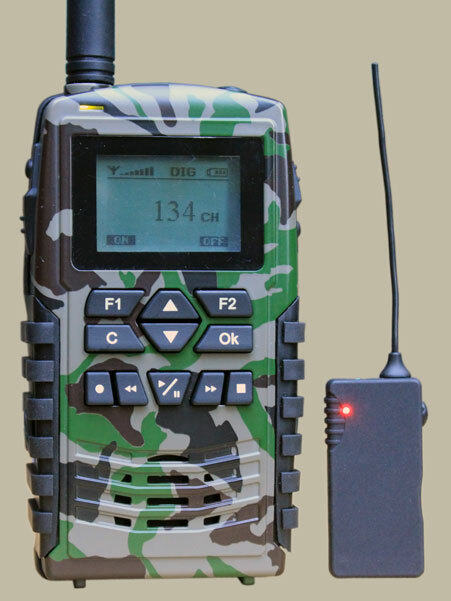 The mini transmitter is designed to operate with STV-05 Digital Receiver. New SJ-004G is a small pocket size multi band cell phone jammer with PC adjustable frequencies. The cell phone jammer is designed for personal use. It will help you protect yourself from the threat of eavesdropping via cell phone (even when cell phone is switched off can listen to conversations at a distance of several meters). SJ-004G Portable Cell Phone Wi-Fi Signal Jammer is mobile cellular phone jammer and with SVIP unique disgusted design, people won't notice SJ-004G and can't know SJ-004G is a Portable Cell Phone Wi-Fi Signal Jammer. This portable unit can jam AMPS,N-AMPS, GSM, CDMA, TDMA, UMTS, WIFI and Bluetooth. This universal device can work as multi band Cell Phone Jammer or as Wi-Fi Jammer or as Bluetooth Jammer or a combinations thereof.